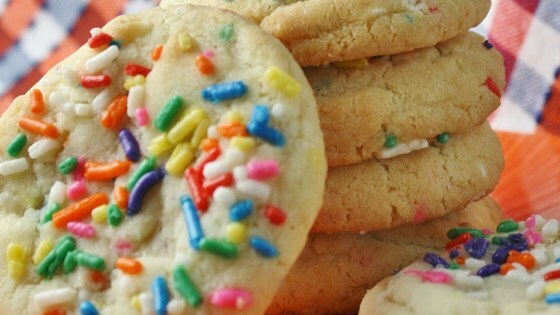 "These cookies are a family favorite. This recipe has been in our family for generations. We love them!" Mix the butter, sugar and egg until light and fluffy. Stir in the vanilla, lemon and orange extracts. Mix the flour and baking soda together and add it to the butter mixture. Mix until combined. Bake spoon-sized drop cookies on an ungreased cookie sheet for 10 to 12 minutes or until the edges are golden brown. Remove and place cookies on a cooling rack. Sorry but no one in my family liked it. These cookies were rather good. Not the best I've ever tasted but still not that bad.